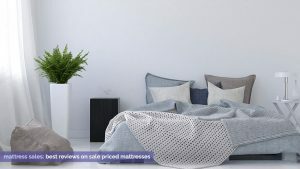 Where Can You Get the Best Memorial Day Mattress Deals in 2019? Let’s Find Out. Are you in need of a good night’s sleep this summer? Then you might want to take advantage of the sale events happening over Memorial Day weekend. If there’s one thing retailers love, it’s a good holiday sale. Nearly every mattress retailer will be offering discounts, rebates and other offers. After all, everyone wants to entice customers during the first major shopping holiday of the year. That includes major brands and their smaller counterparts. In short, this is one of the best times of year to shop for a new bed. Take advantage of what retailers like Macy’s, Sears, Overstock and others have up for grabs. Don’t forget about the Internet though. Popular online stores like Amerisleep and 1800mattress will also be participating. There’s truly something for everyone. This includes entry-level budget buys as well as discounts on high-end luxury lines. With so many mattress sales out there, the options can feel a little overwhelming. So we’ve done the work for you. Here we’ve verified all of the prices and other discount information so you can shop smart. (Though numbers are subject to change, so pardon any discrepancies.) Sales will be updated as they become available in the days leading up to Memorial Day weekend. Be sure to bookmark this pageand check back towards the end of May. 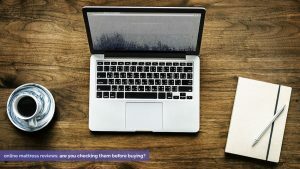 Keep reading to see when and where to shop and compare the best deals in all price ranges this year. Discounted $200 to $1199 in queen size. Standout features include excellent reviews, plant-based foams, established brand, and exceptional return policies (free return shipping). There are great discounts out there no matter what type of bed you might be looking for. But out of all the excellent options to choose from, Amerisleep’s AS3 is our favorite of the bunch. The top rated online retailer offers a range of top quality memory foam mattresses. All of their models have earned highly favorable customer reviews. But the AS3 is the most popular of all. Designed to appeal to a wide range of sleep styles, it’s a versatile pick that can meet a range of shoppers’ needs. Proprietary high-performance memory foam. It’s designed to offer maximum support and pressure point relief. Just-right firmness level. It’s a solid option for all sleep styles and positions. Specialized cooling layer. The AS3 is five times more breathable than traditional foams. Zero motion transfer. You won’t get disturbed if your partner gets up or changes positions during the night. Amerisleep’s AS3 is normally offered at $1,399. (Given the quality, it’s a fantastic price point at any time of year.) But this weekend, the brand has dropped the AS3’s price to $1,199. That represents a $200 savings. Considering Amerisleep’s stellar risk-free trial offer, what have you got to lose? Sales are great, of course. But don’t be fooled. A low price doesn’t always represent a great value. There are many factors to consider as you navigate this weekend’s mattress sales. Retailers will sometimes inflate the original price so they can discount it later. So you end up thinking that the discount is better than it actually is. A lower price can also come with some unexpected fine print attached to it. You might discover that your deep discount comes with little to no warranty. A bed’s quality might not be up to snuff. Or the model might only be available in limited quantities. All of these things make it important to research and thoroughly compare. It’s also important to be mindful of return policies when shopping during sales periods. You should be able to try the bed for at least 30 days before deciding whether or not you want to return it. Even during a discount event. These are just a few of the factors to consider when you go mattress shopping. It’s always worth doing your research before pulling out your credit card. That’s true no matter how tempting the price. So do your homework and think about what you really want before you start seriously shopping. A new bed isn’t something to buy on impulse! We sought out press releases, websites, advertisements, newsletters, and other resources. Our goal was to bring you the best offers from some of the most popular brands. To cut out some confusion, we’ve researched some of the more popular offers and better values out there. We’ve listed their specifications where available too. This helps show what the retailer is actually offering and makes comparing easier. They are separated into three different price ranges. See how your favorites stack up and find what beds best match your needs and budget. Be an educated shopper. Find out how to find the most comfortable mattress for you. As you can see, there are lots of great price options out there. If it all still seems overwhelming, don’t worry. We’ve picked out our top choices for different budgets. The picks are based on customer reviews, company websites, and independent review sites. These are some of the best mattresses for the price that we found in our hunt. Holiday sales are a boon for budget shoppers. Many retailers focus on the value-end of the spectrum. This makes it easy to advertise attractive prices. So there’s a lot to choose from. 2019 Memorial Day Sales will be out soon! In the meantime, here were the top deals from last year to give you an idea of what to expect. Check back closer to the holiday for price updates. Amerisleep AS1 from Amerisleep, $999 in queen. Beautyrest Recharge Bay Spring Pillow Top Mattress from Mattress Firm, $899 in queen. Serta Posturepedic Lawson Cushion Firm Mattress from Macys, $799 in queen. There are bound to be great markdowns for those looking to save on a higher-end mattress. You’ll typically find the best deals from higher end brands and at major department stores. Amerisleep AS3 from Amerisleep, $1,199 in queen. Stearns and Foster Hustonville Luxury Firm Tight Top Mattress from Sears, $1,199 in queen. Hotel Collection Aireloom Vitagenic Copper Gel Firm Mattress from Macy’s, $1,699 in queen. Want more great options? Check out our guide to the best available mattresses right now. Looking for a rundown of all of this year’s holiday discount offerings? Here’s a comprehensive list of all the retailers and online stores that will be slashing prices. These offers are found online at Amerisleep.com and via their Arizona showroom, from 5/23 to 5/29. $200 off any of Amerisleep’s five plant-based memory foam mattreses. Applies to all sizes, starting from $649 with the discount. Use code MD200 at checkout. 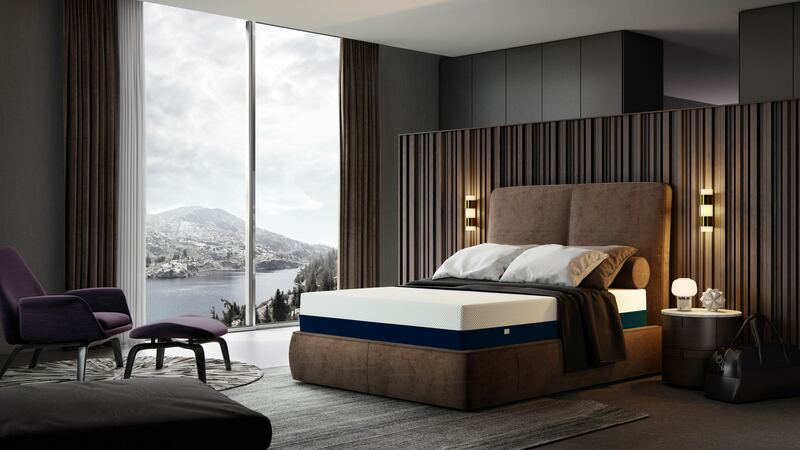 Save 10-15 % off Amerisleep adjustable bed and mattress package. Free shipping and free risk-free returns on all mattresses. These offers are found online at JCPenney.com and via their stores, through June 6. $149 – Sealy Essentials Ivory Treasure Queen Mattress. The Memorial Day mattress sale Macy’s offers takes places online at Macys.com and in stores, from 5/23 to 6/3. 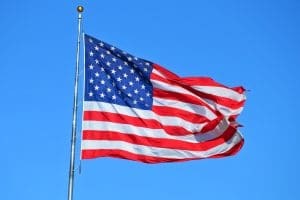 The Mattress Firm Memorial Day sale is offered at MattressFirm.com and in stores, from 5/16 to 5/29. Only online at 1800mattress.com, dates coming soon. Only online at Overstock.com, dates coming soon. 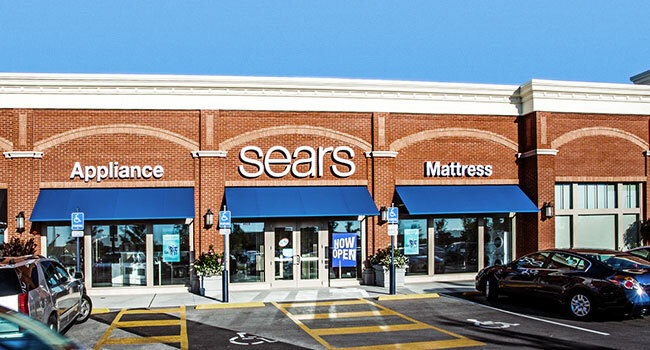 Sears Memorial Day mattress event takes place at Sears.com and in stores from May 20-26. Up to extra 60% off all mattresses. Offers from this brand can be found at Serta.com and via select retailers through 6/4. Save up to $800 on adjustable base and mattress sets. $100-300 off queen size iComfort mattresses, discount varies based on models and sizes. Sleepy’s sale is on at Sleepys.com and in stores. Dates aren’t specified. Check Mattress Firm’s deals. Sleepy’s is now owned by Mattress Firm and running the same ad. Offers from this brand can be found at Tempurpedic.com and via select retailers through 6/3. Save up to $700 on adjustable base and mattress sets. $50-$400 off select mattresses. Varies by model and size. $100-$300 off adjustable beds. Varies by model and size. Comparing all the numbers and features isn’t always easy. But it’s necessary to make sure you end up with a great mattress at an equally great price. Keep these tips in mind for successful, stress-free shopping. Feeling pressured to make a decision is never fun. You can avoid catching buyer’s remorse by getting a handle on the market early. Shop online and in stores now to get an idea of what you like and what “normal” prices are. That way you’ll know what you want—and where to get the best deal—when the holiday weekend rolls around. Keep your preferences, needs and budget in mind. Don’t let a big markdown blind you. There’s no doubt that Memorial Day weekend is a fantastic time to save. But money isn’t the most important thing here. Your comfort and sleep quality matter most. Not the size of the markdown. You shouldn’t blow your budget of course. But it’s also not worth compromising on comfort or firmness just to save some money. Know the difference between types. Different factors affect quality and value depending on the type of mattress you’re buying. Here’s a quick rundown of the most important features for each major mattress type. Composition and height of each layer. Learn more about memory foam beds here. Learn more about innerspring beds here. Composition of latex (blend, synthetic, natural). Composition of any other materials used. Learn more about latex beds here. Read reviews and compare several retailers. Check different sources for reviews on beds you’re interested in. Read what people say about things like durability, expectations, service and other factors. Comfort can be subjective. Ratings and overall trends are the most important thing to glean from consumer feedback and reviews. Also do yourself a favor and look at different stores and online brands. You don’t have to be limited to your local shop, and going online might yield deeper savings and a wider range of beds. All in all, you might find a better fit for your specific needs. Plus, browsing online eliminates the need to spend your time in showrooms. Make your time reading reviews count. Find out how to find the best online mattress reviews. As with any big purchase, know what you’re getting into. Warranties should offer a good level of full replacement coverage. (Ten years is standard for most mid-level and higher mattresses). The warranty should also cover impressions of 1 inch or more. Defects deeper than this can lead to pain and support issues. Return policies are just as important. A new bed takes time to get used to, especially if you’re going with a new type of material. Make sure you have a month or longer to send the bed back if it isn’t the right fit. 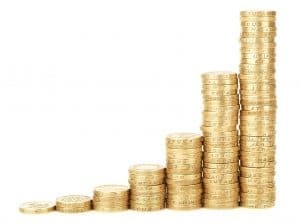 Also get the lowdown on any fees you might have to pay to make a return. If you play your cards right, you could end up with an incredible deal on a new bed. Good sleep is its own reward, of course. But to get it at a great price is even better. And this weekend is one of the best times to make that happen. Of All the Memorial Day Mattress Deals, Which is the Best? The answer really depends on the type of bed you want as well as your personal sleep preferences. There’s no one-size-fits-all option that will fit every shopper and every budget. But if we had to pick one, we’d go with Amerisleep’s AS3. This one-of-a-kind memory foam mattress is designed to work for side, back, or mixed sleepers. And it’s earned thousands of rave reviews from highly satisfied customers. Normally priced at $1,399, the AS3 always represents an excellent value. But it’s offered for $1,199 this weekend, representing a savings of $200. That’s a deal you really can’t pass up. Especially when you factor in the brand’s 100-day risk-free at-home trial period. We’d recommend starting with Amerisleep’s AS3. Especially if you’re not sure where to start your holiday shopping journey. You just might find that you don’t need to look anywhere else.